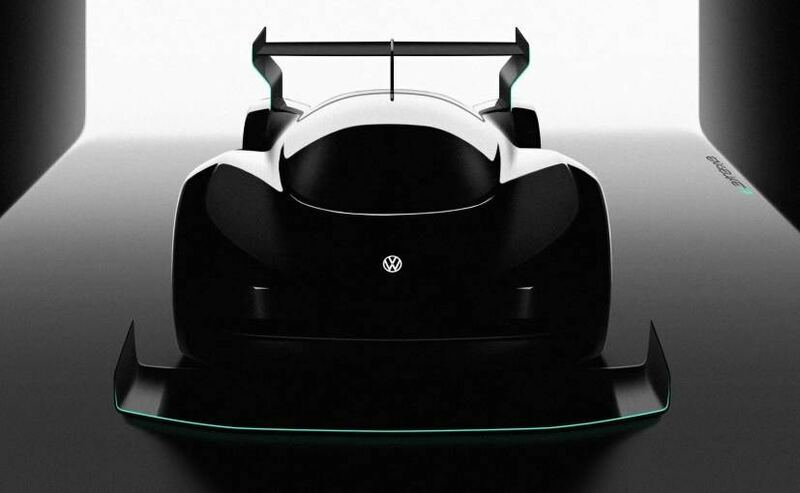 This new teaser of Volkswagen's new electric race car resembles the company's I.D. concepts and comes with a massive splitter up front and a gigantic wing at the back, the electric racer looks fast even when standing still. 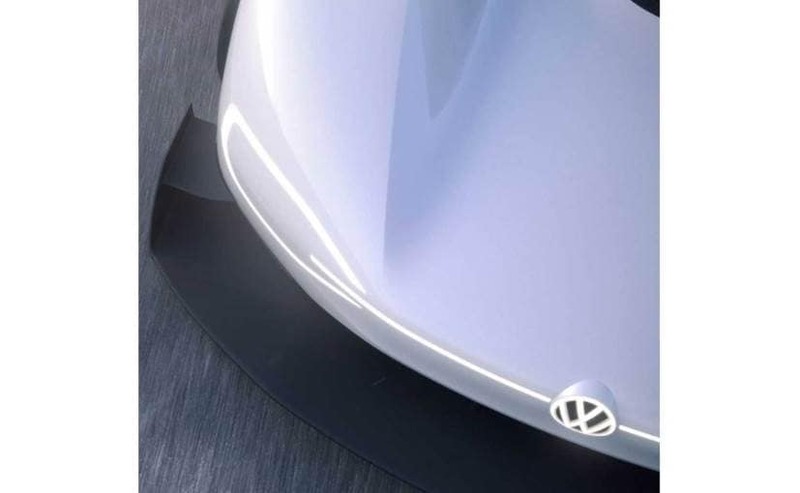 It was in October last year that Volkswagen announced that it's all set to bring an electric car to participate in the Pikes Peak hill climb. In fact it even teased a silhouette of the car and frankly it looked absolutely insane. However, the new teaser reveals a bit more. With a massive splitter up front and a gigantic wing at the back, the electric racer looks fast even when standing still. While there's not much to see, we can at least observe that the styling resembles the company's I.D. concepts. The car will be driven by Romain Dumas who is an ex-winner at Pikes Peak and also an ex record holder himself. The current record of 8 mins 13.878 seconds was established in 2013 by none other than legendary rally driver Sebastian Loeb in a purpose built Peugeot 208 T16 Pikes Peak which featured outlandish wings to add to the aero downforce. The new car by Volkswagen will also feature an outlandish winged setup to add to downforce and will have two records in sight. The first one will of course be the overall unlimited class record that was set by Loeb in 2013 while the second and more important one will be the electric car record that was set by Rhys Millen in a purpose built vehicle 'e0 PP100' that set a time of 8 mins 57.118 seconds. The production car record for electric vehicles was also set last year by a Tesla Model S at 11 mins 48.264 seconds and though VW might not be able to beat considering this one is not a production version. The course measures a total length of 19.99 kms and 156 turns climbing 1,440 metres from start to finish!